Even the Old Academic Building is gorgeous. The first building I entered. 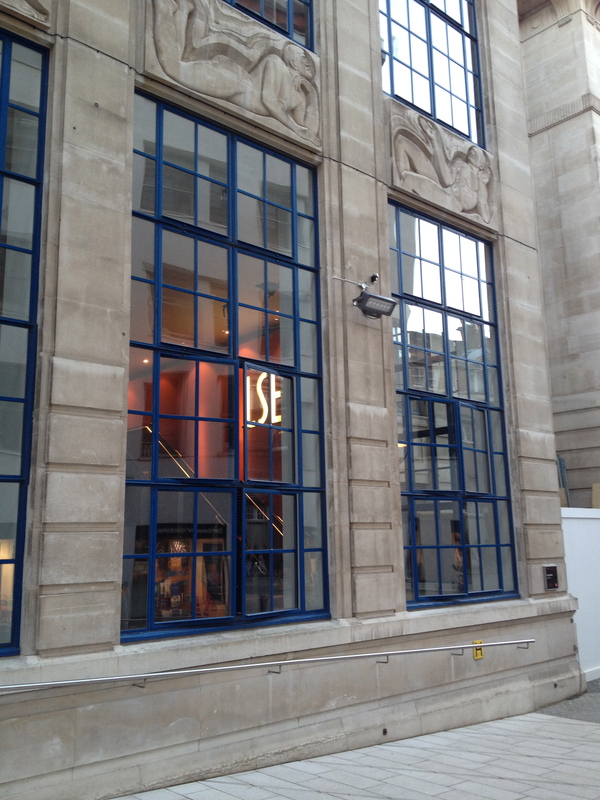 Monday afternoon, I sat down for the first time on the LSE campus, as a full-time LSE student. Along side a few hundred other new post graduate students, I filed into Peacock Theater, home to LSE lectures, performances, conferences and even the privately owned Sadler’s Wells Dance Company. It’s absolutely awe-inspiring to think about the thousands of other students who have sat down for this exact session, a student’s first as part of the LSE community. 16 of these former students or professors have gone on to win Nobel prizesin literature, economics and peace. 34 of them have become (or currently serve as) world leaders. Although 70% of the university’s student body is international, from Britain alone 73 current members of the Houses of Lords and Commons are former LSE students or professors. How do they do it? I have no idea, but I’m guessing they start at this very first meeting of Dean and Students. They start by empowering, challenging, questioning, researching and creating a space where innovation, academia and expertise are free to intersect. 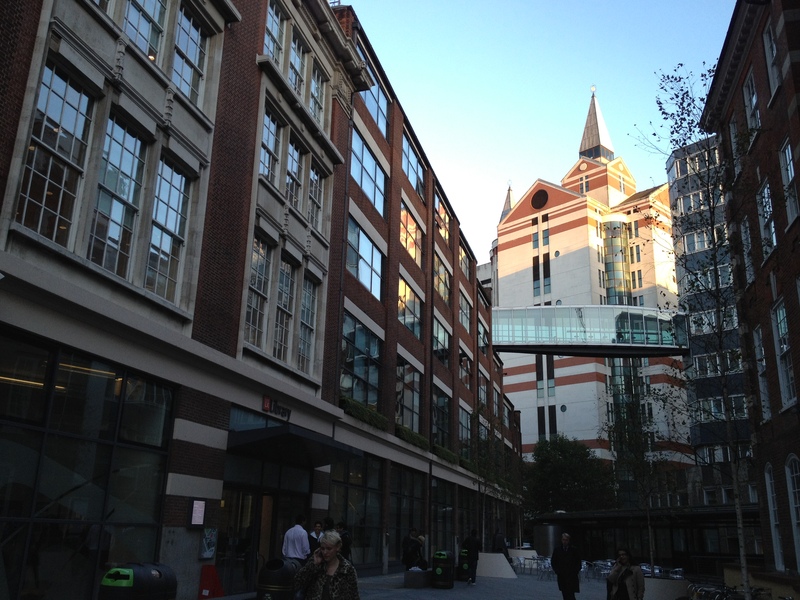 It turns out, the LSE was founded in 1895 by Sidney and Beatrice Webb, who had decided that the new era they found themselves living in demanded a new way of approaching the world, a new type of knowledge. Research, they decided, held the key to developing the policies and programs that would shape our future. I am not an expert on the Webbs, and owe the knowledge I’m sharing here to Craig Calhoun, LSE’s Director. While he spoke to us on Monday, he reminded us not just of the importance of research — the theoretical base for all learning and teaching at the university — but of the work we owed to the field. We are not here to rely on the research begun by the Webbs, but to continue to empower, challenge, question and research the world we live in today. LSE, from its motto (rerum cognoscere causas, “to know the causes of things”) to its mandatory statistics course, tells us the simple way to “deal with it” is to continue the research. 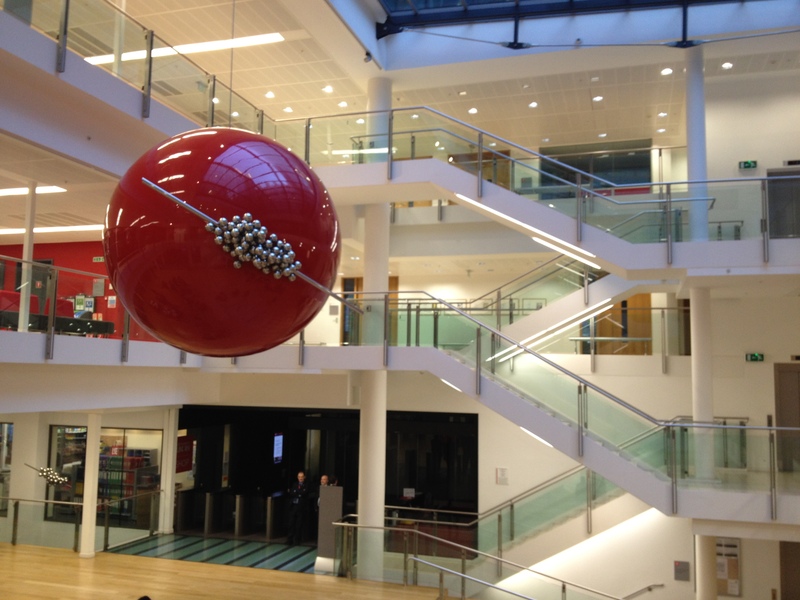 Sociology was invented at the LSE, literally laying the groundwork for subsequent, research-based subjects such as cultural theory, communications theory, media theory. Sound familiar? 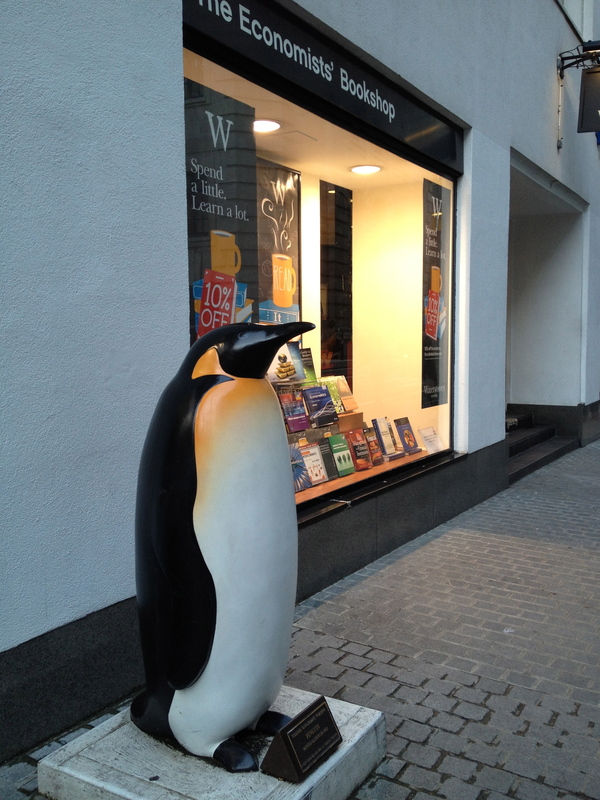 Even penguins shop at bookstores at the LSE. Life has a way of wandering around, in and out of grassy knolls, up steep mountains and sweeping back down on the backs of white waters. I guess that even with my LSE education I will never know the the causes and forces behind my arriving at the gates to this great institution. But I know I couldn’t be any better poised to learn from the mouths of geniuses. Now if my feet would hurry up and start growing. Pretty sure I have some pretty big shoes to fill. all work on this page is original and authored solely by elockwood, unless otherwise noted. all images are owned by elockwood, and are not for use elsewhere without prior permission. please credit this site if you are reproducing work and offer a link back to the original piece.